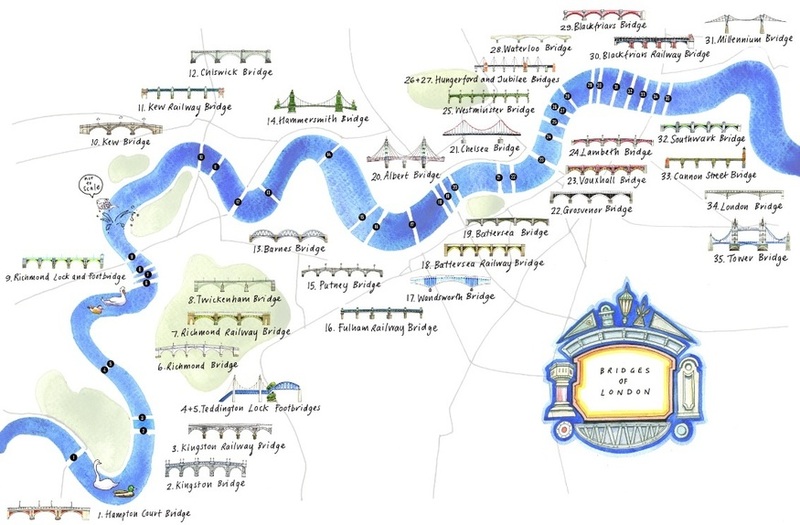 Think you know your London bridges? Then you won't be needing this illustration. Actually, it's so beautiful you'll probably want to ogle it anyway. 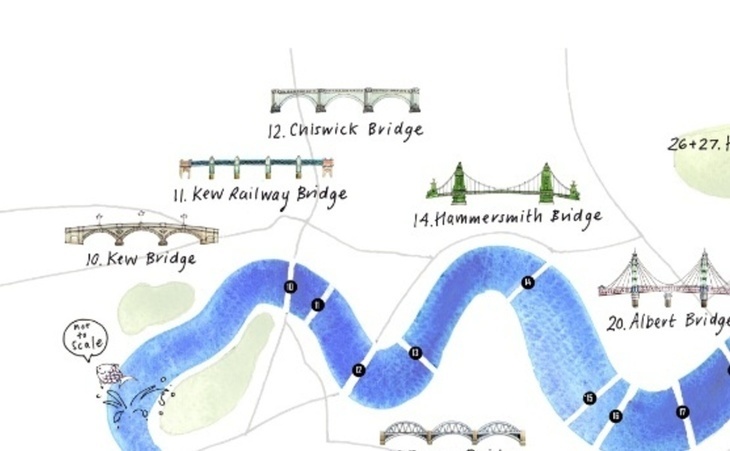 Road bridges, railway bridges and even footbridges are included, and numbered; print it out, slap it on your wall, and learn your London bridges from west to east. 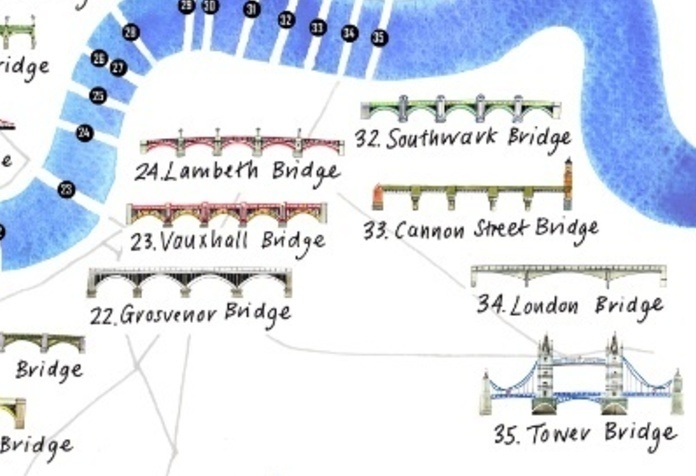 And here's how the bridges got their names.